haha. i took these with my blackberry, then had fun. 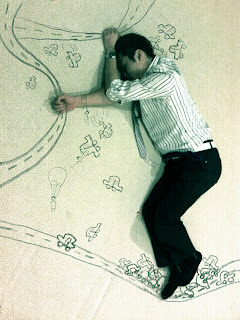 it's chris and jun sleeping at the office. Jun showed me these today!!! 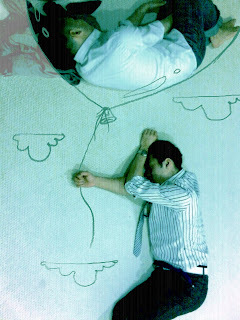 OMG I LOVE THEM~~~ Please draw one for me, I will pretend I am sleeping next time you come over!!! Hehe!!!! Draw one for me too. I'll act dead anytime. these are really really cool!